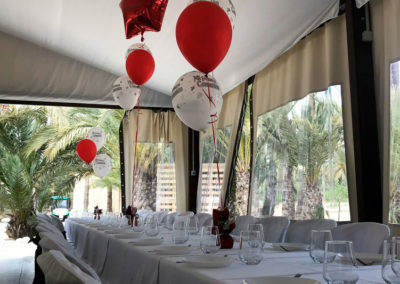 To regain strength, enjoy the surroundings and continue enjoying a fantastic day of fun. 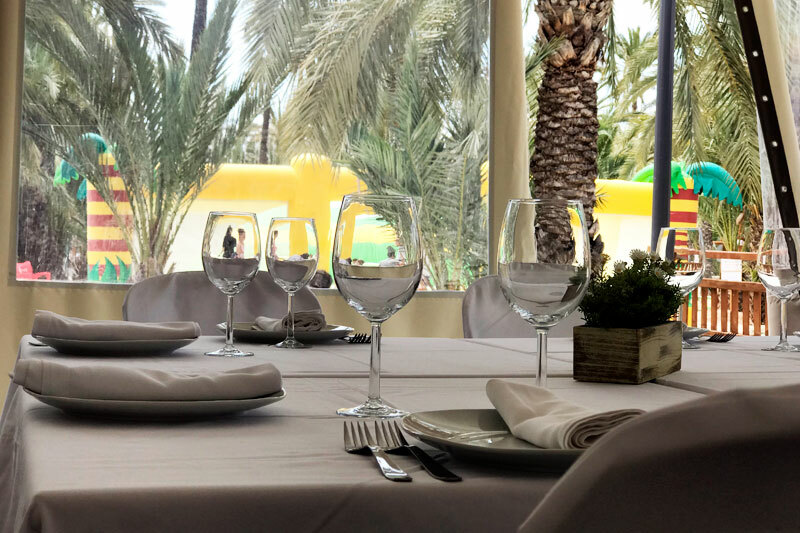 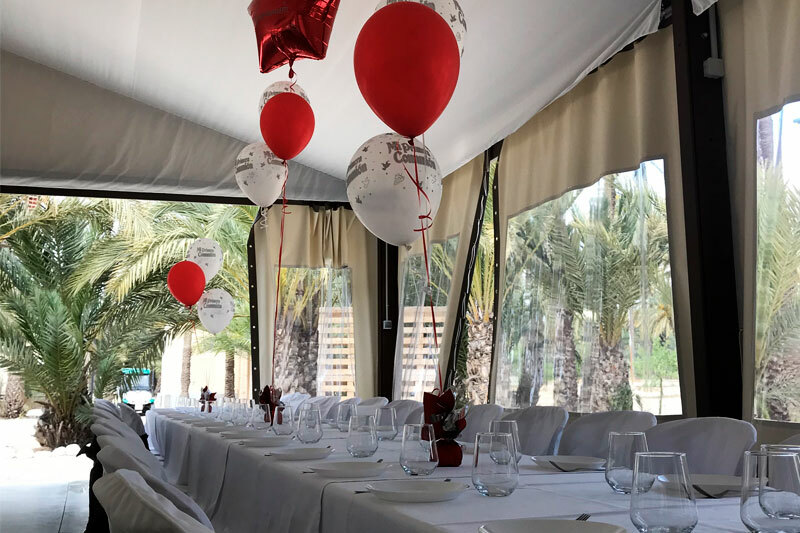 300 m2 of restaurant, cafeteria and terrace, built like the traditional garden houses, complete the Multiadventura Elche offer. 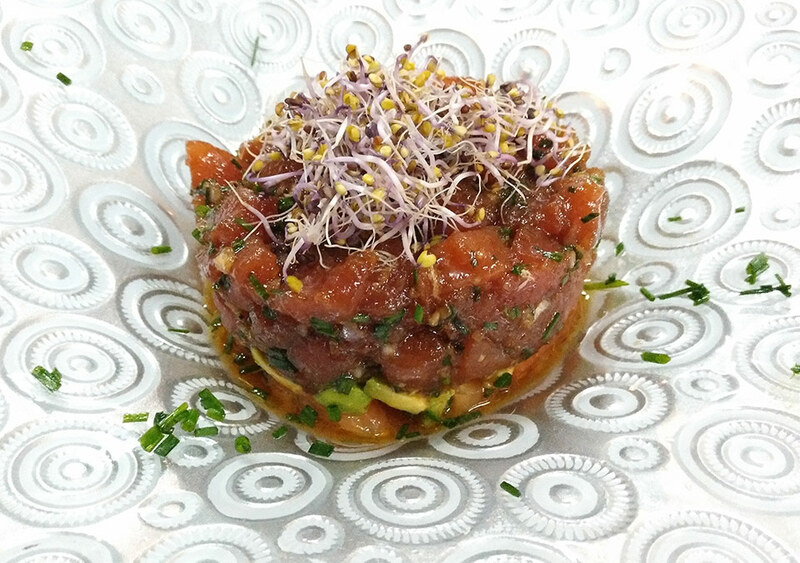 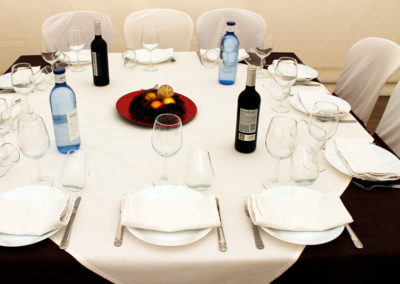 With the help of Finca D’Boo, a restaurant with an exceptional reputation in the city of Elche, with another also located in the centre of the city. You can enjoy the best traditional and avant-garde cuisine with top quality products and menus that is affordable, without sacrificing quality. 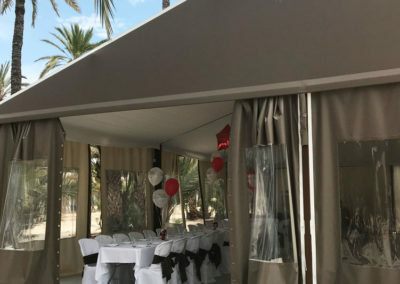 The terrace, overlooking the children’s play circuits, allowing everyone to continue to take advantage of their relaxing time but still being not too far from your kids. Among its specialties, the salads are quite delightful, where you can find tomatoes picked freshly from the garden, with cured salted fish and delicate puff pastry topped with a crumble; The rice, from a rice with fried onion and pieces of cod, black rice made from squid ink is amazing, the famous ‘a banda’ rice made with seafood just has to be tried, or Iberian and mushrooms; Variety of grilled barbequed meats cooked to your preference, and succulent homemade desserts to die for. 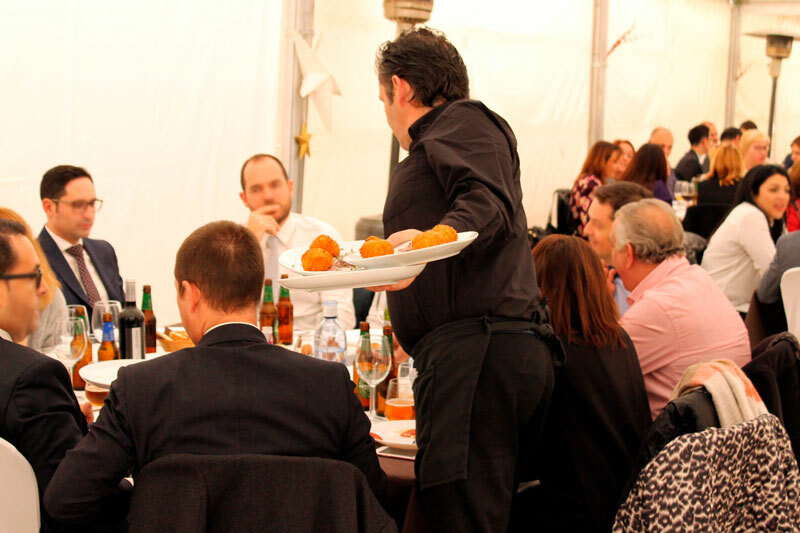 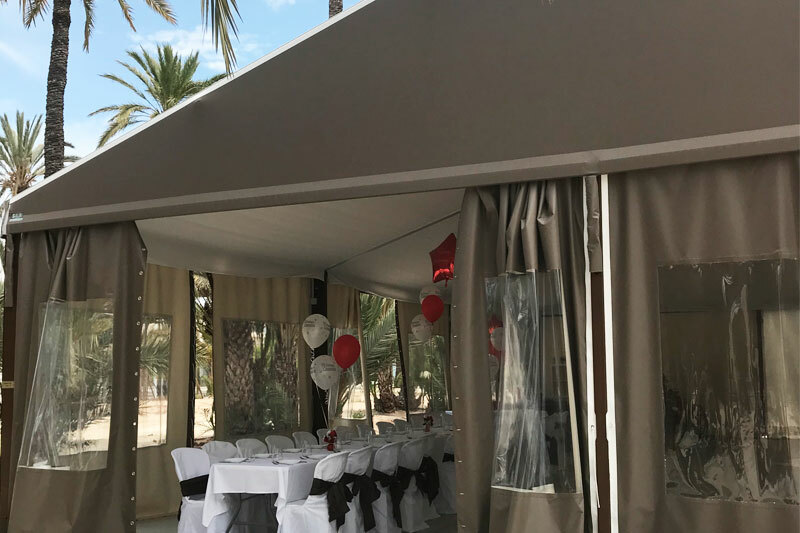 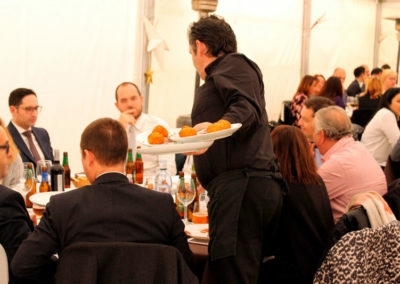 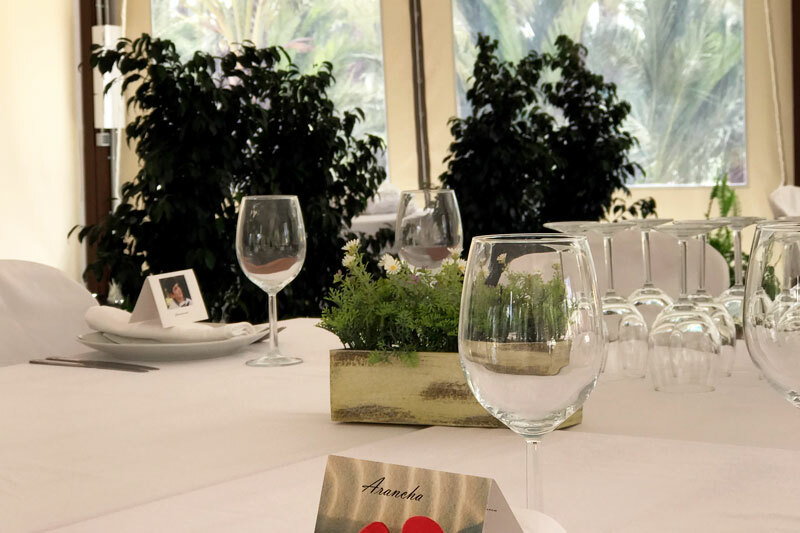 As a novelty, we have incorporated a large tent of 225 m2 for the celebration of major events: weddings, communions, business lunches and dinners, meetings of friends, etc … Everything you could imagine. 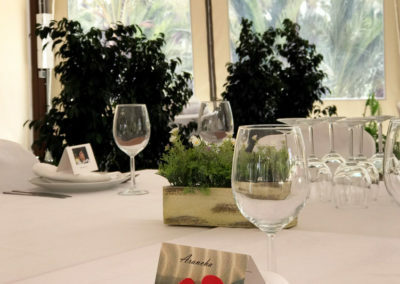 We customize your event and we make it unique, within a unique environment considered a World Heritage Site by Unesco that just adds to the atmosphere.